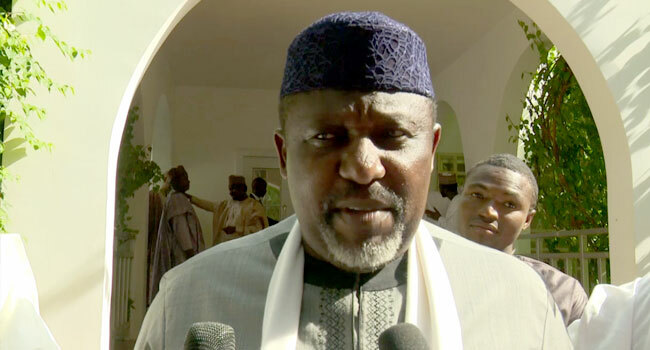 Governor Rochas Okorocha of Imo State on Thursday said the defection of some governors and members of the All Progressives Congress was painful. He said this in Daura, Katsina State when he led other APC governors to visit President Muhammadu Buhari to felicitate with him in the spirit of the season. “We had wished that none of them, especially the governors, had left the part. We had wished, and it pains us so much,” Okorocha who is also the Chairman of the Progressives Governors Forum said. The pain, he explained, is because they had associated and “related together as brothers”. All of a sudden, you don’t see one of your own; we feel it,” he added. The governor was reacting to the recent defections from the party, particularly those of Governor Samuel Ortom of Benue State; Abdulfatah Ahmed of Kwara State; and Aminu Tambuwal of Sokoto State. All three governors had defected to the Peoples Democratic Party within a week, starting with Ortom on July 25, Ahmed on July 31 and Tambuwal on August 1. Although Okorocha described their exit as painful, he believes it had no further effect on the APC. Governor Abubakar Bagudu of Kebbi State, however, waved the defections off, saying it is normal for politicians to defect from parties. “Parties around the world are associations of persons and, sometimes, others will feel their objectives cannot be met where they are,” he said. Like Okorocha, he dismissed arguments that the defections had a negative effect on the party. “What has happened led to more commitment among party members,” the Kebbi State governor said.